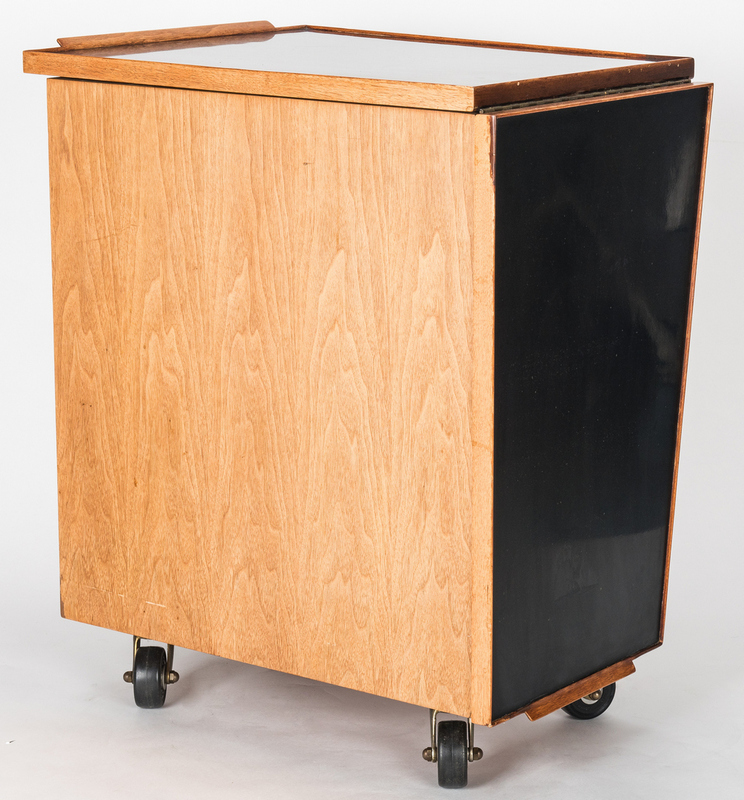 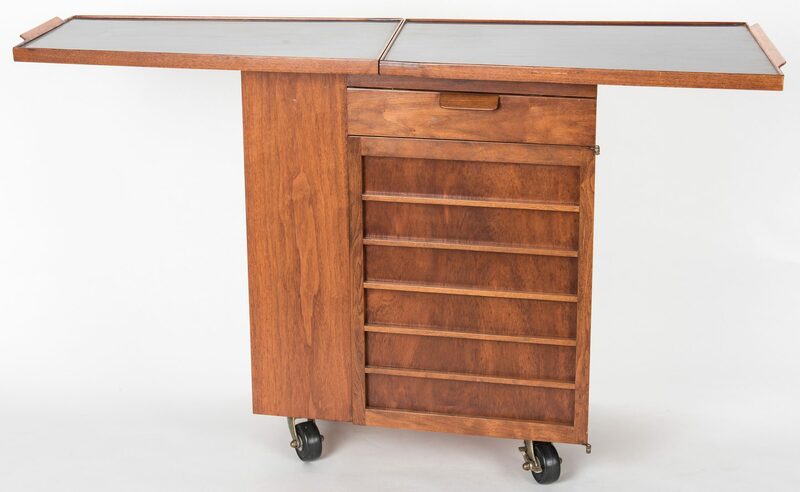 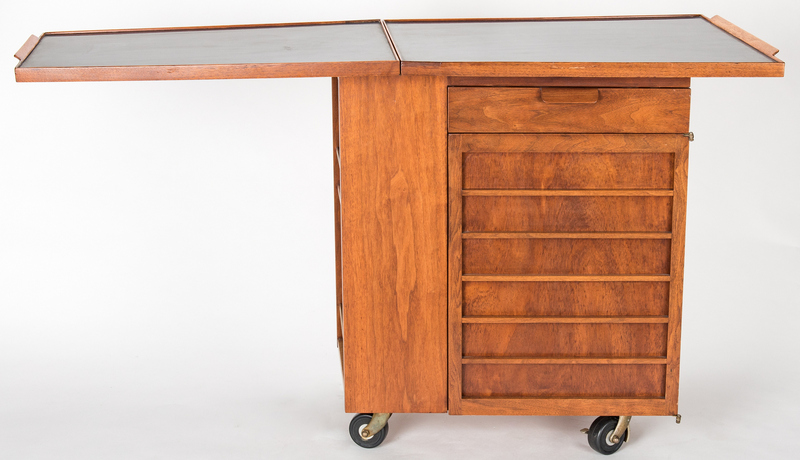 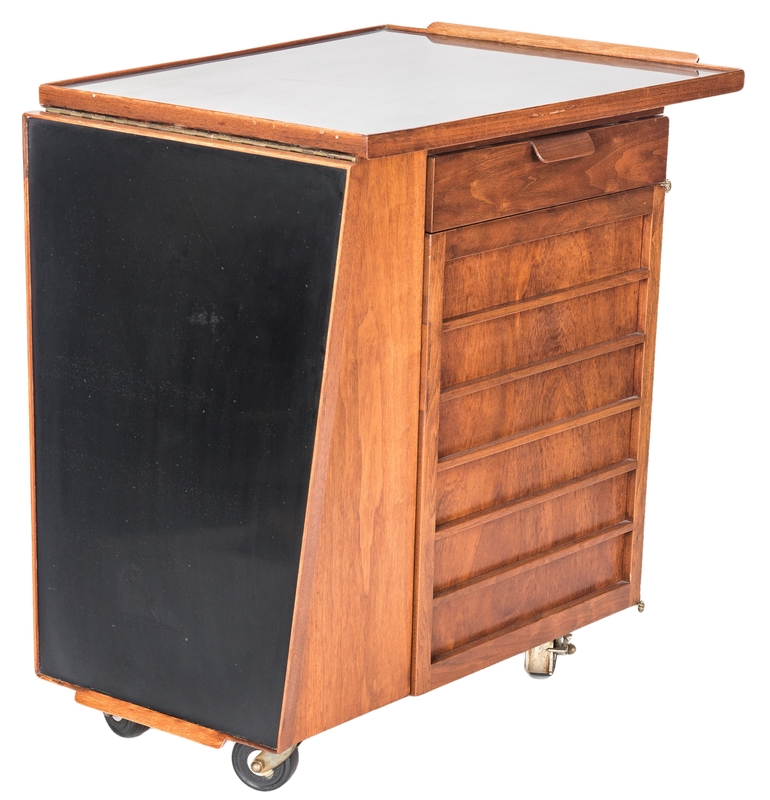 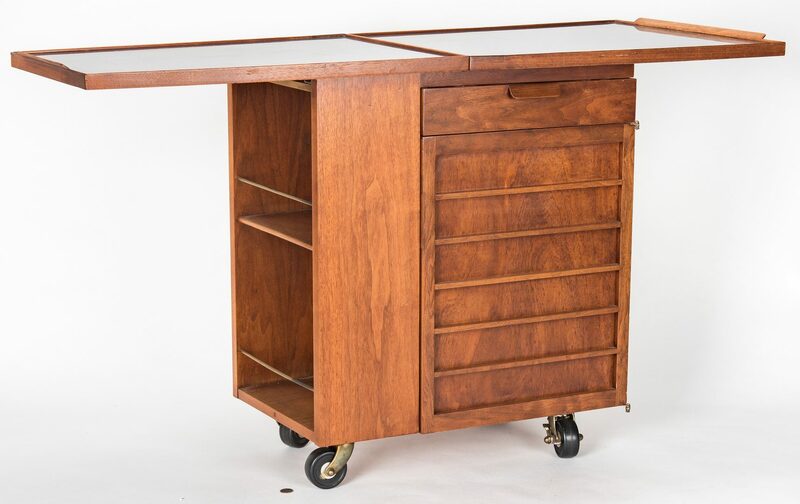 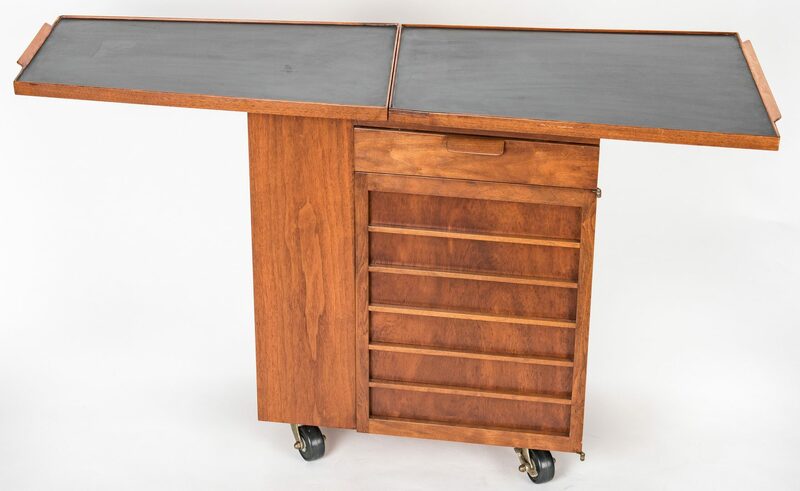 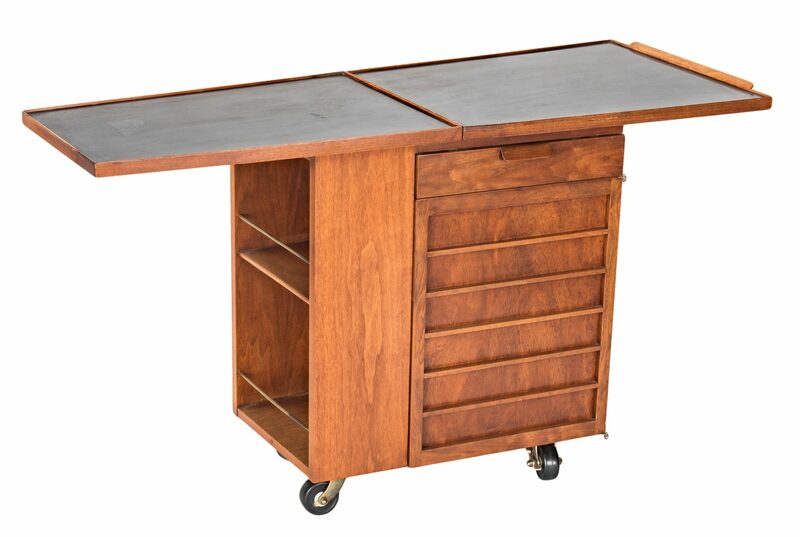 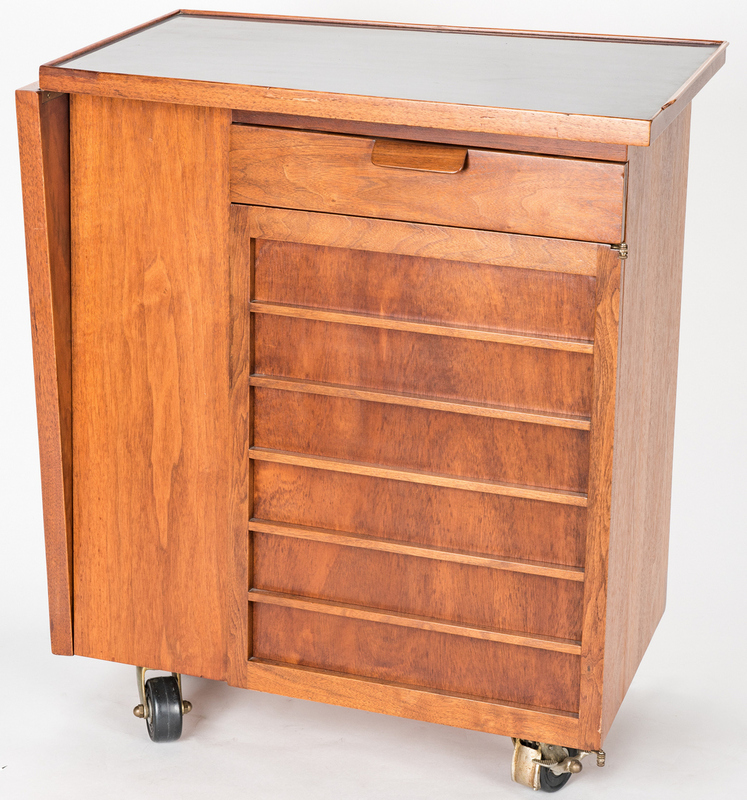 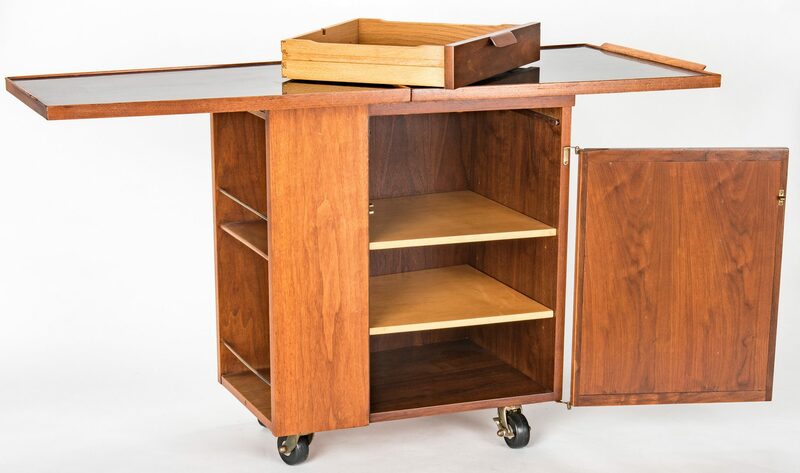 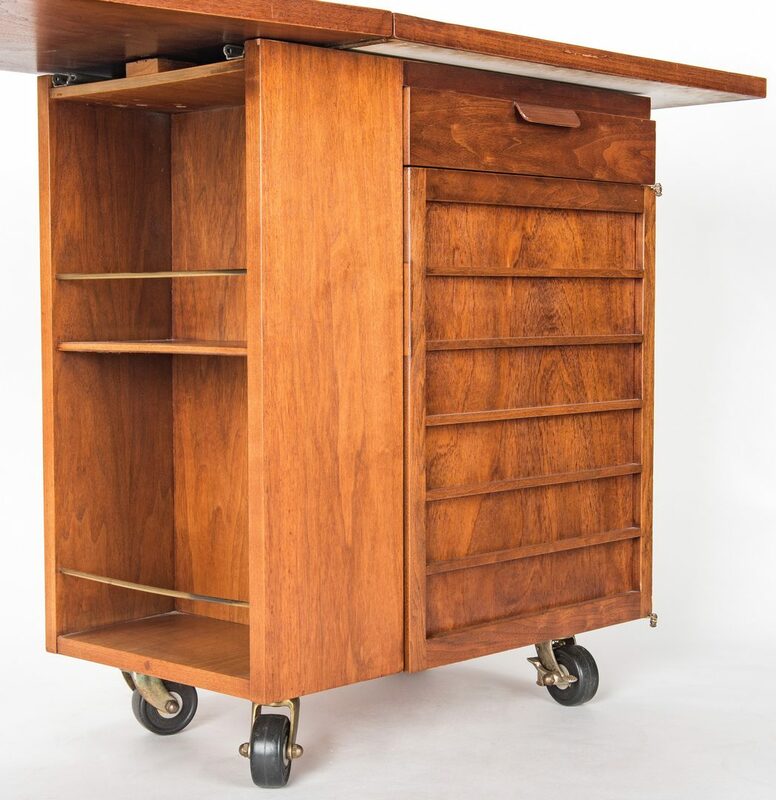 Mid-Century Modern Bar Cart, Edward Wormley for Dunbar, walnut with laminate top, hinged leaf, a drawer, a cabinet, and steel casters. 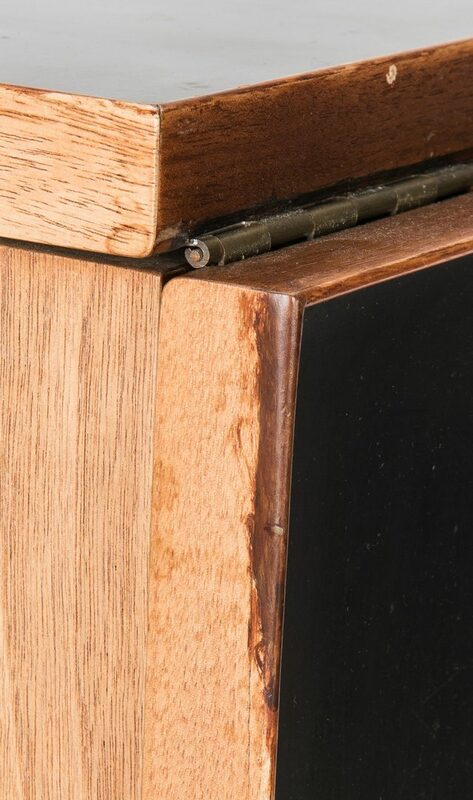 DUNBAR, Berne, Indiana label to interior drawer. 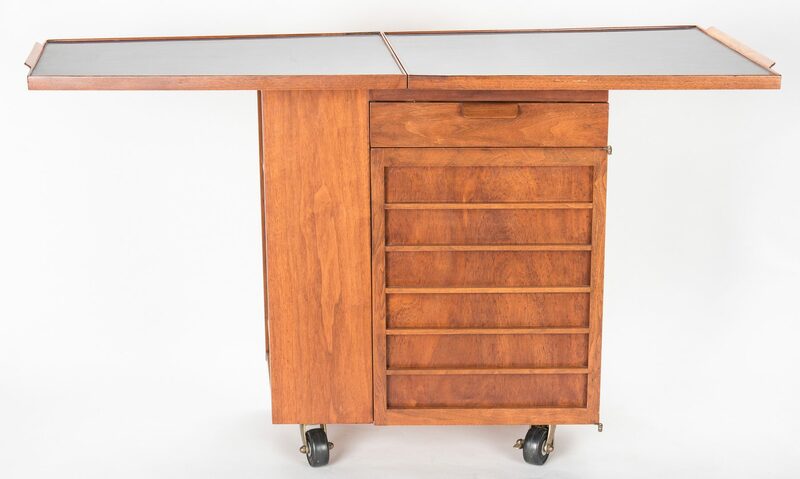 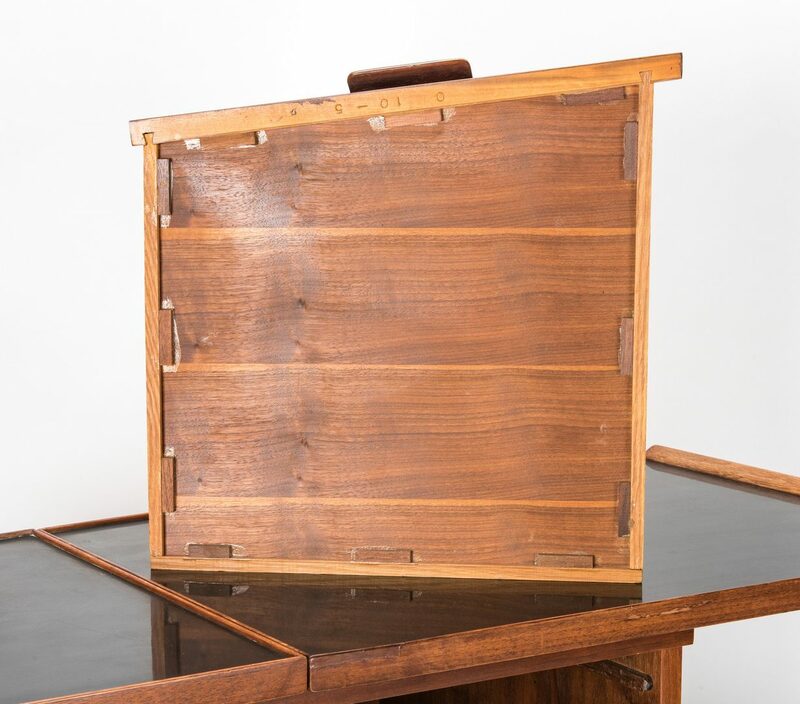 31 1/2" H x 34" W (54" with leaf) x 21" D. American, mid 20th century. 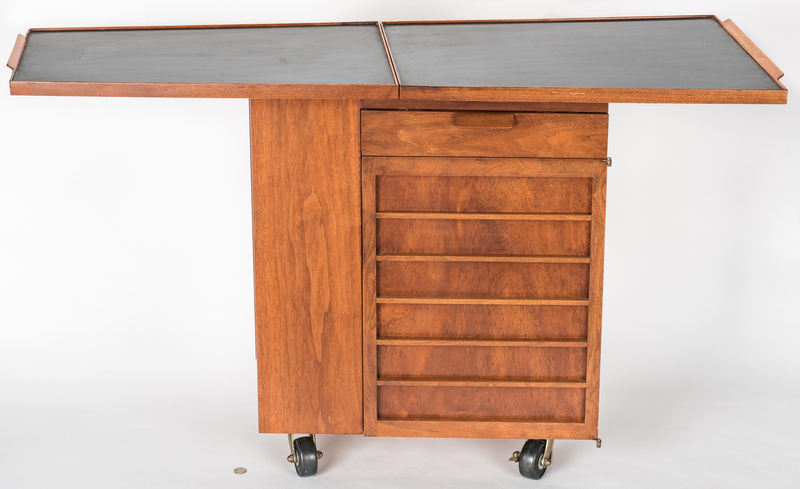 Provenance: Estate of Bernard Werthan, Jr., Nashville, TN. 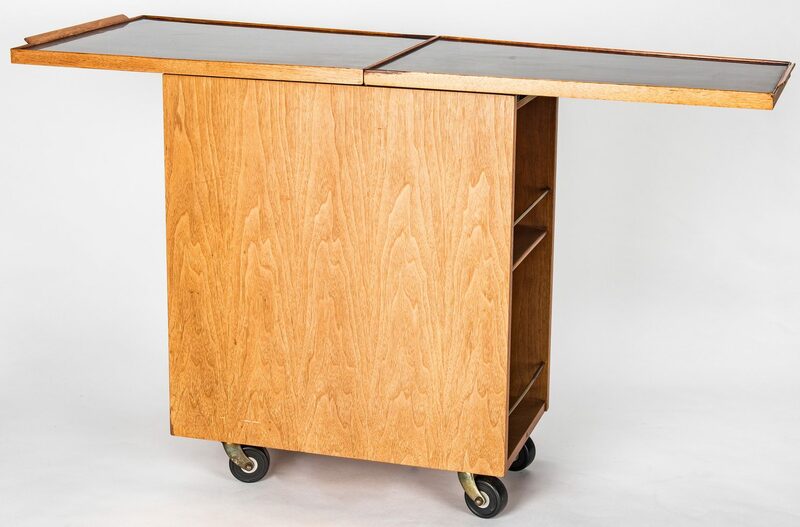 CONDITION: Overall good condition with scattered minor scuffs on edges and corners.